The constant changing and shifting of our retail environments is both exciting and daunting. In many ways, our retail centres are a representation of how our society functions at a particular time in history. From the historical open marketplaces that were all about small family providores and artisans selling their produce and wares and were the centre of community life, to the original shopping 'malls' of the '50s and '60s that were based around the motor vehicle and enabled shopping to occur during all weather conditions, we now have the internet and smartphone technology threatening the retail environment with online shopping. In many ways we have come full circle, with retail developers who have traditionally developed malls, thinking more strategically about the shopping experience and the contribution they are making to placemaking and the local community. It is therefore pertinent to ask, how will retail centres need to further evolve to meet the demands of their communities now and in the future? With population growth driving the strong likelihood of retail centre redevelopment and expansion, and disruptive transport technologies expected to come online in short timeframes, how are retail developers to make decisions about retail centre configuration and land-holding for the long term? Every development comes with its own complex collection of inherent opportunities, constraints and motivations. While there is no one-size-fits-all formula, there are five interrelated considerations that should form part of retail centre masterplanning in order to enhance activation, create ongoing stability and growth, and generate the vibrancy that every project needs to thrive. Understanding your development site’s context is key to identifying market opportunities and predicting a centre’s potential for growth over time. It is important to look beyond the immediate site and catchment area and to think of your centre as being part of a broader, evolving socioeconomic ecosystem. Information such as the rate of population growth, demographics such as age range, household structures, socio-economic population characteristics, planned infrastructure and transit, as well as the characteristics of nearby/ competing retail centres, can all provide useful insights. With research suggesting that the longer consumers stay, the greater their average spend, such insights may lead to the addition of elements that make staying longer more convenient and attractive, such as parents' rooms, play areas and scooter recharge points. Alongside population growth and urbanisation, new technological advances threaten to disrupt the traditional shopping centre model. A recent forecast by Stanford University economist Tony Seba predicted that all fossil-fuelled vehicles would disappear within the next eight years. Further into the future, how might autonomous vehicles affect the need for car parking adjacent to retail centres? Understanding the degree to which a retail centre has the potential to grow, combined with an understanding of how the characteristics of the local population will shift and how journeys to and from retail centres may change, enables a strategic approach to masterplanning. Having started with the future in mind, your project stakeholders now have an understanding of where a project might be heading; how it will get there is dependent upon your landholding strategy. There are two obvious options when planning for future expansion: horizontal growth and vertical growth. The inclusion of one (or potentially both) of these options are wholly dependent on site characteristics, location and land availability, as well as current zoning and council planning strategies. It is still well worth the time to thoroughly investigate all possible options as part of the initial feasibility assessment. Even when future expansion is not considered an option, considering selling the air rights to a residential developer may provide the opportunity to introduce vibrancy, an increased sense of safety and security as well as a ready audience of consumers through the provision of shop-top apartments, for example. Parking lots should also be carefully considered as part of any expansion strategy. They provide much flexibility as tiered parking can be introduced in the future to enable horizontal expansion or, as discussed, automotive technology may potentially reduce the need for large swathes of car parking. The most important objective for any land-holding strategy is that it works to enable a design solution that encourages, if not actively plans for, future changes. Whether a developer has the flexibility to expand an asset or divest, retain full ownership or sell off a portion of land or air rights, will depend on the level of foresight and flexibility incorporated. Retail centres that are socially rich places provide an attractive antidote to the convenience of online shopping. It is becoming increasingly well understood that creating a retail island, surrounded by a car park, is not necessarily the best strategy for increasing foot traffic and retail sales. Retail facilities that are collocated or integrated with housing, schools, medical centres, community centres, entertainment, restaurants and bars receive higher visitation for a larger proportion of each day of operation. Even retail centres that are destined to remain at the neighbourhood scale stand to benefit from the integration and collocation of complementary uses. 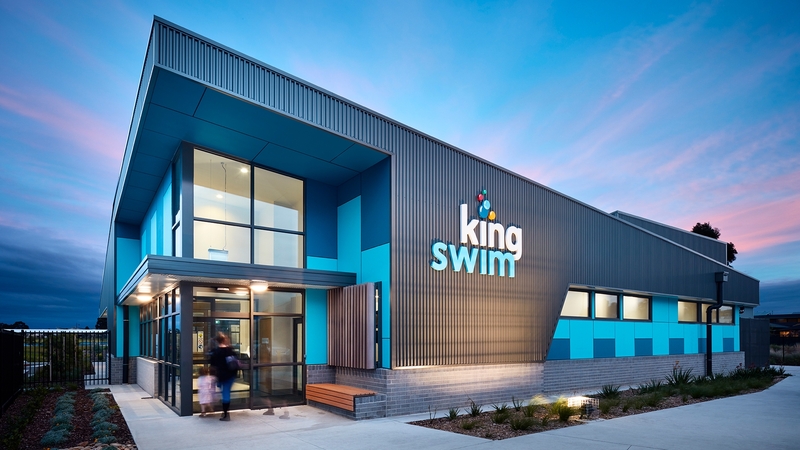 Smaller centres may support integration with housing and restaurants; as the scale increases to that of a town centre elements such as a medical centre, small-scale commercial, swim school, church, childcare or a gym may be considered while major activity centre scan support options such as food halls, cinemas, bowling alleys and other largescale entertainment facilities. At any scale, creating an attractive, inviting, inclusive and human-scale public realm provides the community with a clear landmark and meeting place, provides an attractive outlook for elements such as bars and restaurants and further adds to a sense of community and vibrancy. The high likelihood of the presence of vacant land around shopping centres, particularly in the initial stages of their operation, also provides an opportunity for maximising retail centre activation. It is important to amplify engagement from the earliest stages as residents quickly form habits around where they will shop. Innovative and adaptive ideas for the use of these spaces may include: developing a leasable low-cost medium term building that may provide some rental income while allowing uses for future development to be tested such as a grocer, cafe, fitness centre or shared work space (or something more altruistic like a mens’ shed); providing minimal infrastructure to enable a regular craft or farmers market; or working with a provider like 3000 Acres to install a temporary community garden. These are ideas that could potentially generate some income while simultaneously drawing people and attention to your centre. The process of retail centre development will increasingly require a much broader network of relationships as achieving an appropriate mix of uses often requires partnerships and collaboration with other developers, government organisations and business operators. These partnerships and collaborations must be explored at the earliest stages of retail centre development when land is readily available and land use is not already completely locked down. Electricity is generally the largest ongoing cost for a shopping centre and, with the current volatility in the energy market, prices are expected to continue to increase in the medium term. The rising cost of on-grid electricity, combined with the falling cost of many renewable energy technologies such as solar, battery storage and microgrids as well as the increasing availability of grants and finance solutions for renewable energy infrastructure, make it the perfect time to consider alternative energy solutions. 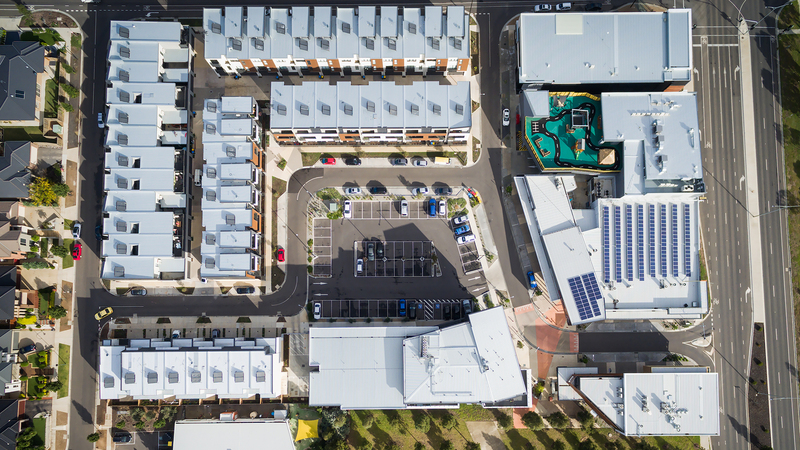 What is more, renewable energy provides an incredible opportunity for shopping centre developers and operators to reduce environmental impacts and reinvest savings made on the ongoing cost of electricity into public amenity and community capacity building programs. Furthermore, in the near future, the ability to provide customers with charging points for electric vehicles may become a powerful differentiator. In greenfield developments, considering energy infrastructure early and partnering with surrounding landowners to develop renewable energy infrastructure will increasingly be a realistic and financially prudent approach. The future is looking extremely bright for shopping centre and mixed-use developments. We are entering an age where we have the tools and foresight to understand and predict human movement, we are more connected than ever before to people’s needs and desires, communities are active and open about how they want to live, and our industry is becoming smarter and working harder than ever before to incorporate vibrant and thriving communities into their design development as well as their commercial forecasts. Holistic development models that create shared value for developers, government, and communities alike are on the horizon. Creating economic value in a way that also creates value for society is on our doorstep, and we are the generation that will put the theory into practice, lead by example and reap the rewards, alongside our communities. The Highett Shopping Centre development has brought renewed vitality to a previously declining retail strip. Australia’s population has recently ticked over 25 million, a decade earlier than predicted by the ABS in 1998. Growth, and the infrastructure to support it, is an ongoing topic of debate in every corner of Australia and with higher birth rates and immigration becoming the norm, growth within Australia is something that we need to be on the front-foot with.